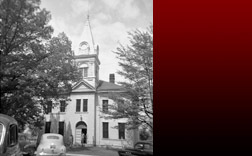 Powell County was formed in 1852. It is located in the Eastern Coal field region of the state. The elevation in the county ranges from 580 to 1440 feet above sea level. In 2010 the county population was 12,613	in a land area of 180.14 square miles, an average of 70.5 people per square mile. The county seat of Powell County is Stanton. Located at the foothills of the Eastern Appalachian Mountains, Powell County Kentucky is home to such scenic natural wonders as Red River Gorge, Natural Bridge and a host of other great outdoor adventures. Seventy million years of wind and water sculpting have created natural wonders and a vacationer's paradise in the quaint Kentucky community of Powell County and its two towns of Clay City and Stanton. With great schools and diversified access to transportation and telecommunications infrastructure, this wonderful place to visit and live also offers a host of excellent economic development opportunities to would-be business owners. Only minutes from the intersection of two major Interstate highways, the hidden treasure of Powell County offers a well trained and capable workforce ready to expand and grow your company. Powell County invites visitors to enjoy a true adventure. The County provides access to several hiking and biking trails. Stanton is near several arches and rock formations. 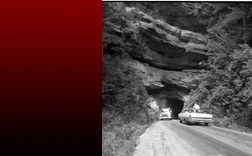 Visitors can discover the natural wonders hidden inside the gorge such as over 100 stone arches and waterfalls as well as the historic Nada Tunnel. Seventy million years of wind and water have created one of the most unique areas in the eastern United States. So, whether you are looking for a great place to visit, live or grow a business, Powell County has a home for you. Sit back and click around for a while! "POWELL COUNTY IMPLEMENTS CODE RED GEO CITIZENS CALLING SYSTEM"